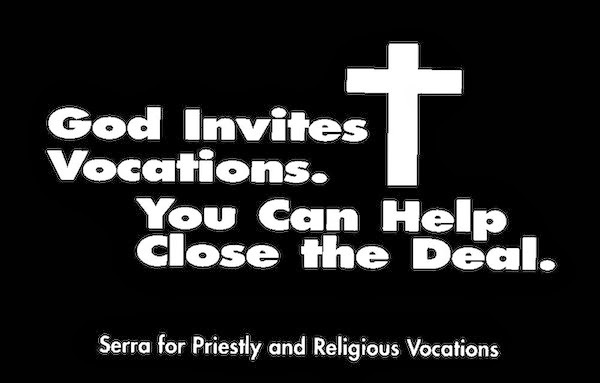 What Are YOU Doing To Promote And Nurture Vocations To The Priesthood? In today’s gospel, Jesus calls his first priests: Peter, Andrew, James and John. They leave their fishing business—and everything else—behind, and begin a journey with Jesus that would eventually bring them (and many others) to the kingdom of heaven. So what are you doing to nurture and promote vocations to the priesthood right now in 2014? That’s the question I’d like to address with you in my homily today. What are you doing to help men—especially young men—hear the call of Jesus to follow him, as those apostles heard the call to follow our Lord 2,000 years ago? Contrary to what many Catholics believe, we all have a responsibility in this regard. But discovering God’s call for your life—be it to the priesthood or religious life or marriage or the single life—is not easy, especially in a hedonistic and materialistic society like ours, where it’s very easy to get disconnected from God and distracted by the things of this world. This is why our words and actions on behalf of vocations matter. Precisely because it’s not easy to recognize a call to the priesthood these days, young men need to be surrounded by faithful Catholics who will support and guide them in their discernment. Are you encouraging the young men in your family to be open to a vocation? Notice I didn’t say, “Are you encouraging them to be priests?” God is the one who calls; the call does not come from you or from me, so we shouldn’t act like it does. What the Lord wants us to do is to encourage young men (even those in our families) to be open to the possibility that God is calling them to the priesthood—so that, if he is, they will have their spiritual ears open and be able to recognize the call. When Fr. 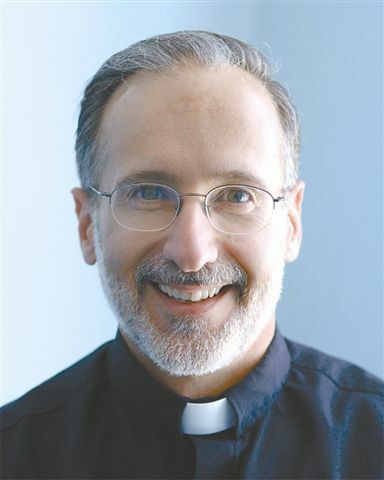 Marcel Taillon (who was then the Vocation Director in our diocese) spoke at all our weekend Masses several years ago, he asked everybody to pray one Hail Mary each day for vocations. I wonder how many have done that. We’re currently involved in the “Traveling Crucifix” program here at St. Pius (many of you have seen this advertised in our bulletin). You take the crucifix into your home for one week and pledge to pray for vocations with the other members of your family for ten minutes each day. I know we have some available weeks on the calendar. Perhaps that’s something your family would like to take part in. If so, just follow the instructions in the bulletin announcement. Are you living your own vocation well? If you’re married you might ask, “What does my vocation to marriage have to do with vocations to the priesthood?” Well, when I was a student at Providence College, a professor of mine made a very interesting statement one day in class. He said that if you look at the history of the western world since the time of Jesus Christ, what you see is that whenever marriages were strong, the priesthood was strong; and whenever the institution of marriage was in crisis (as it is today), there was also a crisis in the priesthood. That made a lot of sense to me because both marriage and the priesthood are rooted in lifelong commitments. So if a married couple lives their vocation joyfully, their example will help to promote vocations to the priesthood indirectly—since they will be conveying to young people the message that lifelong commitments are possible! They’re not easy, that’s true—but, by the grace of God they can be lived, and they can be lived JOYFULLY! Do you receive the sacraments more than you have to? You only HAVE to go to Mass on Sundays and holy days; you only HAVE to go to confession if you’ve committed a mortal sin. But if you go to confession on a regular basis (at least a half dozen times a year), and if you occasionally go to Mass during the week (when you’re not obligated to go), you’re sending a very important message to the young men in your life. You’re telling them, by your actions, that you value what priests do; you’re telling them, by your actions, that the priesthood makes a positive impact on your life. Do you speak in a positive way about the priests you know? “But, Fr. Ray, what could we possibly say that’s good about you?” Well, feel free to leave me out of this if you like. The fact is there are a lot of good priests out there doing the Lord’s work quietly and faithfully every single day. But sometimes, unfortunately, all you hear about them are the negatives. Are you making it clear to your children, friends and relatives that faith is more important than skiing, and basketball, and every other sport’s and extra-curricular activity? If you are, then once again you are indirectly promoting vocations, because you’re conveying the message to young men who might be called to the priesthood that our relationship with God is the most important relationship we have in this life. Here we can all take a lesson from a great Jewish baseball player of the past and a great Catholic football coach of the past. In 1965, Los Angeles Dodgers’ pitcher Sandy Koufax—who was probably one of the ten best pitchers in baseball history—refused to pitch in game 1 of the World Series against the Minnesota Twins. And why was that? Why did Koufax say no to this incredible opportunity? It’s because it was the feast of Yom Kippur—one of the Jewish high holy days—and Koufax’s Jewish faith was much more important to him than playing a baseball game was (even a game in the World Series!). If we help young men to get their priorities in order and to keep their priorities in order, we will help them to discern God’s will for their lives—whatever that might be. One final question, which is really the most important question of all: Are you doing your best to help your children, relatives and friends meet Jesus, and develop a personal relationship with him? If someone had approached Peter, Andrew, James and John and had said to them, “Jesus of Nazareth wants you to leave your families and your fishing business behind so that you can follow him around for three years,” those four men probably would have laughed at the messenger and called him “crazy” (and maybe a few other things as well!). But once those men had met Jesus personally, and had experienced his presence for themselves, everything changed. As we heard in today’s gospel, they followed the Lord immediately, without any hesitation whatsoever. If we want young people to do the will of God in their lives, we need to help them experience the Lord in a personal way and begin an intimate relationship with him. Now that can certainly happen at any Mass, and it sometimes does. But very often something more is needed: usually a retreat of some kind where the normal distractions of life are not present. This is why we take our young people to events like Steubenville East, and Youth Explosion and Youth 2000. For most of the young men and women who attend those retreats, Jesus Christ becomes more than a historical figure in a 2,000-year-old book! These teens begin to see Jesus for who he really is: the loving Lord who created them, and died for them, and who has a plan for their lives here on this earth and in eternity. This is why it really upsets me when parents come up with any and every excuse as to why their children can’t attend spiritual events like these. I think to myself, “Do they have any idea what they’re depriving their children of?”—because one way or another, regardless of what they’re called to in this life, those young people will need Jesus Christ. So there they are: seven questions to help you reflect on what you’re currently doing (or not doing) to nurture and promote vocations to the priesthood. My simple prayer at this Mass is that, regardless of what our past has been like, we will all be good promoters and good nurturers of priestly vocations in the future. “At this time all practicing Catholics in good standing are invited to come forward if they wish to receive the Lord in Holy Communion. To those who are not Catholic: We certainly welcome you here on this special occasion. I cannot offer you Communion today, but I do invite you to come forward if you wish—to me or to one of the other priests or deacons at this Mass; come with your arms crossed over your chest in this fashion, and we will be happy to give you a blessing today in the Lord’s name. In all honesty, my brothers and sisters, I hate having to say that. I really do. The reason that I, and many other priests, feel we need to give this instruction is, quite frankly, because during the last 50 years many of our brothers in the priesthood have failed to tell their people the truth and instruct them properly. In their desire to be “nice guys,” these priests have told certain men and women that it was okay for them to receive the Eucharist when it was definitely NOT okay for them to do so. Some of them have even gone so far as to invite UNBAPTIZED PERSONS to receive Communion at Catholic weddings and funerals! Those of us who make the announcement do it because we want those attending Mass in our parishes to do the right thing. Generally speaking, it’s been my experience that both Catholics and non-Catholics who are really serious about their faith appreciate this instruction, while Catholics who like to “pick and choose” which Church teachings they’re going to follow do not. And every once in awhile one of those in the latter category will send me a letter or an email, expressing their disapproval. I have the sneaking suspicion that St. Paul would not quite agree with the assertion that he had misinterpreted Jesus. If Paul did misinterpret our Lord, by the way, then that means our God is schizophrenic! We call the Bible “the word of God”—which means that the teaching of God in the Gospels cannot contradict the teaching of God in the rest of the New Testament! I get the sense that they think they understand the teaching of Jesus better than Jesus understood the teaching of Jesus! John the Baptist was much more humble in his assessment of himself, as he indicates in today’s gospel reading from John 1. Here was a man who rightly understood that his individual discernment was not infallible. He admits very candidly that when he first encountered Jesus at the Jordan River, he did not realize that he was in the presence of the Messiah. God had to make that fact clear to him. God always provides a mechanism to clarify these things for us, as he clarified things for John. This, in fact, is why Jesus established a Church—and why he established his Church on the “rock” of Peter. Our Lord knew how easy it would be for people—even good, sincere people—to misunderstand and misinterpret his words. Our individual discernment is never infallible! But the discernment of the successors of the apostles in union with the successor of Peter is infallible—when they speak together officially on matters of faith and morals. The individual discernment of many Christians today—including the two men I mentioned earlier in my homily—has actually resulted in the creation of an imaginary (and false!) Jesus: a Jesus who is nice all the time; a Jesus who never offends anybody; a Jesus who ignores sin; a Jesus who pretty much approves of everything we do or say. And they call me “insensitive” and “uncompassionate” for giving people a few guidelines at Communion time? I’m a pussycat compared to Jesus! We all need discernment as we seek to follow Jesus in this life. We all need, in other words, to be able to recognize the presence of Jesus and his teaching. But if we want to follow the real Jesus—the Jesus John the Baptist and the apostles followed—then we need to seek the guidance of the Church that Jesus established. This is why the most important book for any Catholic to own (besides the Bible) is the Catechism. If we own a copy of the Catechism—and then consult it for spiritual guidance and for answers—God will guide us in our discernment of his will, as he guided John the Baptist in recognizing and following the Messiah. We’ll understand what God wants us to believe; we’ll understand what he expects of us; we’ll understand the difference between right and wrong; we’ll understand how to get on—and how to stay on—the road to heaven. And we’ll understand why Fr. Ray and other priests sometimes make the announcement that they make at Mass right before Communion. Baptism: for Jesus, it was LESS than it appeared to be; for us, it was MORE than it appeared to be. For Jesus, it was less than it appeared to be; for us, it was more than it appeared to be. 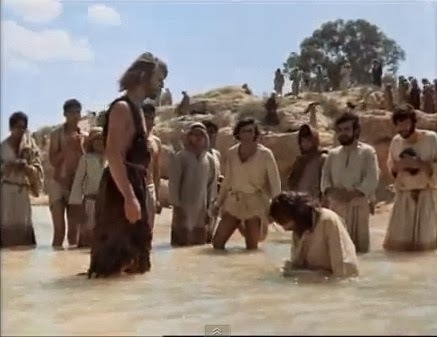 I’m talking here about baptism: Jesus’ baptism in the Jordan River by John the Baptist, and our baptism in the name of the Father, Son and Holy Spirit. The whole purpose for receiving John’s baptism was to acknowledge that you were a sinner, and to seek God’s mercy and pardon. But Jesus Christ, our Lord and Savior, never sinned! He had no need of the heavenly Father’s forgiveness, like the rest of us do. Although he appeared to need it. Perhaps it also appeared to some of the bystanders who witnessed this event that John was greater than Jesus, since John was the person who baptized our Lord. But, of course, he wasn’t (as he himself acknowledged in the gospel reading we just heard). At the Jordan Jesus appeared to be a sinner, but he wasn’t; he appeared to be someone less important than John the Baptist, but he wasn’t. In reality, he was much more important! After all, he had created John—and everyone else who was there that day. So why did he get baptized? To save us, in other words, Jesus had to take our sins upon himself. But in order to take our sins upon himself he needed to look like a sinner, even though he wasn’t. And he did! He certainly looked like a sinner on Good Friday as he hung on the cross. But that identification with sinners was also present in his 3-year ministry (remember, his enemies called him “a glutton” and “a drunkard” and a lot of other not-so-nice things!). And that identification with sinners was present at his baptism. Jesus’ baptism was an act of humility and love. It did not bring him any forgiveness—which is why I say it was less than it appeared to be. Now that’s the exact opposite of the way it was for you and for me! Our baptism—whether it occurred in infancy or in adulthood—was more than it appeared to be! Aside from being a good excuse to have a family party on a Sunday afternoon, the ceremony of Catholic baptism appears to be little more than a nice, ordinary, very brief religious ritual. But in reality it’s a ritual that’s packed with power! Literally! Are you unaware [apparently some were] that we who were baptized into Christ Jesus were baptized into his death? We were indeed buried with him through baptism into death, so that, just as Christ was raised from the dead by the glory of the Father, we too might live in newness of life. Through baptism we are born again of water and the Spirit—which Jesus says in John 3 we MUST BE in order to enter the kingdom of God at the end of our earthly lives. Through baptism original sin is taken away. Original sin, remember, is not like the personal sins we commit every day. When we say we are born with original sin we are saying that we’re born into this world lacking sanctifying grace in our soul. Sanctifying grace is the grace Jesus died on the cross and rose from the dead to give us; it’s the grace that we need in our soul in order to get into the kingdom of heaven. Through baptism all our personal sins are also forgiven (this obviously applies to those who are baptized later in life)—and all the temporal punishment due to those sins is taken away. Baptism also makes us a member of the Church; it imprints an indelible spiritual mark on our soul; it gives us a share in the royal priesthood of Jesus Christ; and it opens us to the possibility of receiving the other sacraments. Not bad for a nice, ordinary, very brief religious ritual! This, by the way, is why a priest will sometimes delay the baptism of an infant. It’s because baptism is so powerful and so important! It’s not to be taken lightly! In other words, the baptized person needs to live the Catholic Faith that they profess (when they’re old enough to do so). But if the priest has a good reason to believe that a particular child will not be educated and brought up in the Catholic Faith, he can—and he should—delay the sacrament. The official policy of the Church on the matter is found in a 1980 document entitled, “Instruction on Infant Baptism.” It was prepared by the Sacred Congregation for the Doctrine of the Faith and was approved by Pope John Paul II. Assurances must be given that the gift [the gift of sanctifying grace] thus granted can grow by an authentic education in the faith and Christian life, in order to fulfill the true meaning of the sacrament. As a rule, these assurances are to be given by the parents or close relatives, although various substitutions are possible within the Christian community. But if these assurances are not really serious there can be grounds for delaying the sacrament; and if they are certainly non-existent the sacrament should even be refused. Of course, when those responsible for the child’s upbringing change and do give those assurances by their words—and, even more importantly, by their actions!—then the baptism can (and should!) take place. I’ll end my homily now the way I began it, by reminding you once again of those two important truths: the baptism of Jesus was less than it appeared to be, while our baptism was more than it appeared to be. Because Jesus’ baptism was less than it appeared to be, he can save us; and because our baptism was more than appeared to be, we can be saved. Obviously, therefore, we should thank God for BOTH those truths—today and every day.